A blank wall is a canvas waiting to be decorated. Ditch the messy paint and wallpaper and switch to our easy-to-apply vinyl letters or custom wall decals. We want to make decorating your walls in your business, office, or home a pain-free process. Knowing the difference between our vinyl lettering and custom wall decals will help you create the perfect wall display that will surely impress your customers or friends. Though similar in application, these two products differ in a few important ways. We’ve outlined these in the separate sections below. Vinyl lettering is individually cut from a sheet of colored vinyl material, which has a highly adhesive backing. 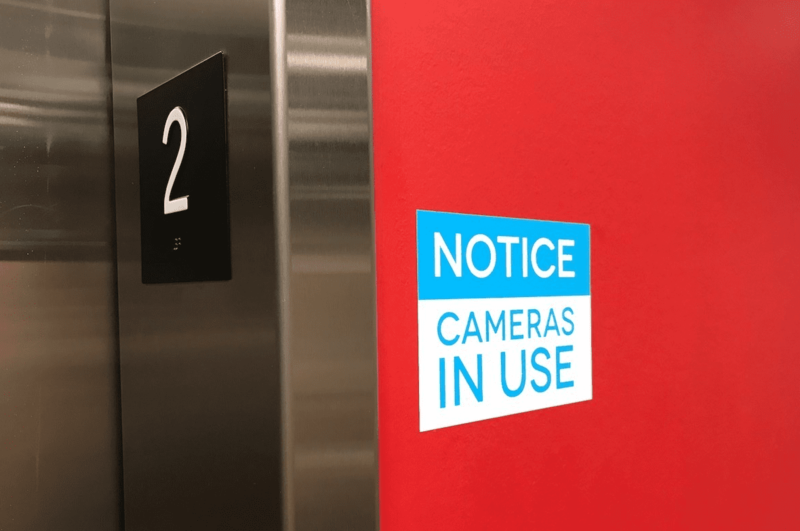 Unlike most signs and decals, the color of vinyl lettering is not printed onto the material. Instead, rolls of the material are manufactured in different shades of solid colors. Due to these solid colored materials, the letters are limited to a single color without any gradients or multiple colors on a single letter. The individual lettering allows for customizable placement of letters on a wall. Use vinyl lettering to display important information in prominent locations in your business or home. Decorate lobbies, reception areas, or offices with slogans or directories that are easily seen. The vinyl adhesive will allow for placement throughout a building on various surfaces, including glass, plastics, smooth wood, and other non-porous surfaces. Place on doors to display room numbers and nameplates. Use to indicate emergency exits, warning signs, and fire extinguisher locations. Place on storefronts to display sales, promotions, or menu items if you sell food. The strong adhesive is also effective in attaching vinyl lettering to company or personal cars. Vinyl lettering is suitable for outdoor use and can withstand rain or direct sunlight. Of course, prolonged exposure to either will deteriorate the product faster than if it were placed indoors. This wall decoration is also perfect for creating beautiful scripts for walls where family photos are displayed, or for placing quotes in your home. 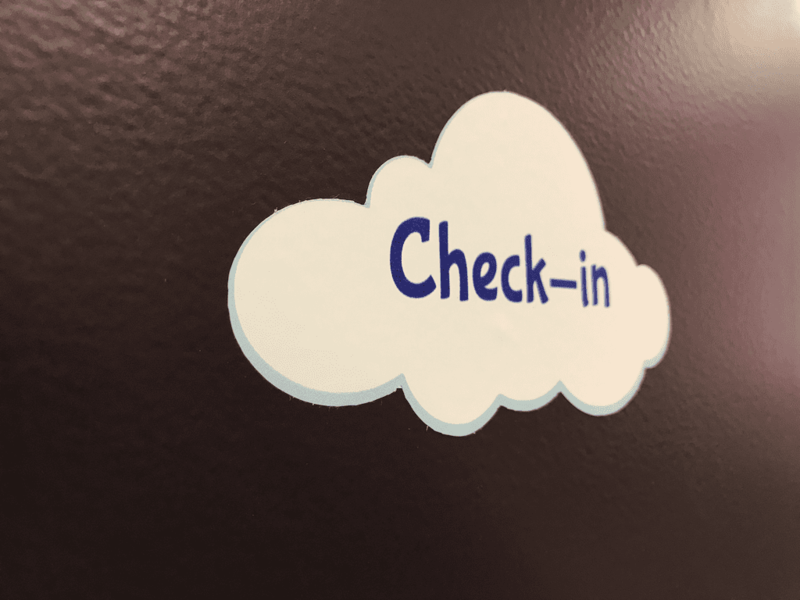 Vinyl lettering is great for posting names in kids rooms or nurseries, creating ‘height charts’ that are used to measure and indicate a child’s height, and seasonal use for holidays or birthday parties. As demonstrated, vinyl lettering is a great solution for a wide variety of business signage needs as well as home decor and personal use. Vinyl lettering can be used to print both letters, numbers, symbols, and simple designs. Our online sign design tool offers the option of over 30 different colors of vinyl lettering and more than 70 fonts for your lettering. Do you already have a design on your computer that you want to print? Vinyl lettering can also be used to print custom logos and fonts, as long as the files uploaded into our design tool are vector-type files (ai, eps, svg, pdf). Intricate designs (including those with thin strokes) may not be able to print. If portions of a design are too thin, cutting them from vinyl could affect the integrity of the material (too thin = greater potential for tearing). Pricing for vinyl lettering primarily depends on the size of your design, the number of characters, and the number of colors you use. Our vinyl lettering comes pre-masked, meaning the individual letters are attached to a low adhesive masking tape, that will allow you to place all the letters in your design in one swift application. You do not need to place vinyl lettering individually because they come pre-masked. When placing the lettering, all you need to do is position the vinyl onto the wall while slowly removing the backing that protects the adhesive. 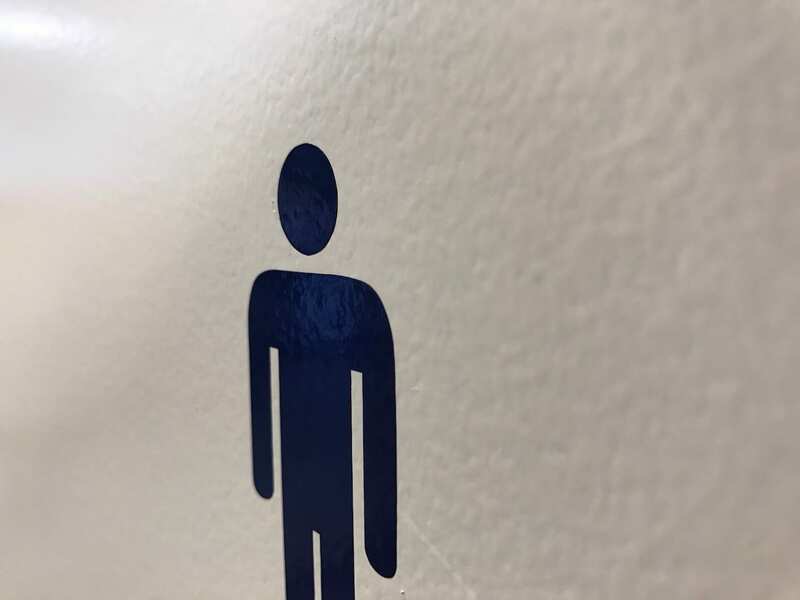 We recommend choosing a wall that is not porous or textured to ensure that the lettering adheres Once completed, you’ll carefully remove the masking tape, revealing your perfect vinyl lettering. Full installation instructions can be also be found on our vinyl lettering product page. 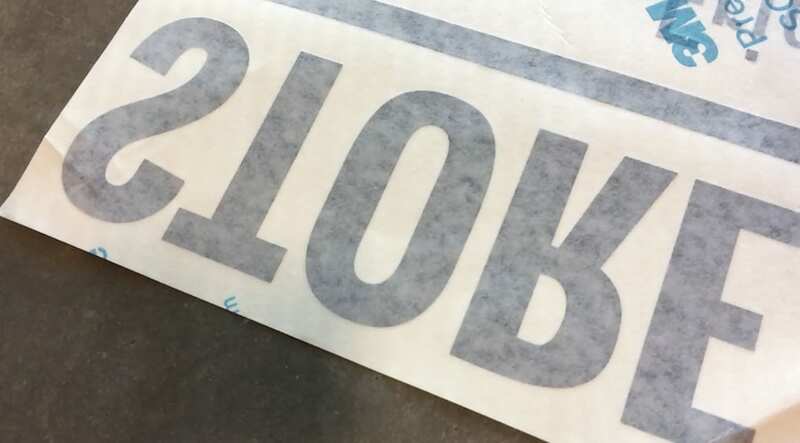 The pre-mask film allows for the vinyl lettering to be quickly installed in a single motion, without having to go letter-by-letter. Once adhered to your wall, the vinyl lettering will not lose its application unless you physically try to remove it. The adhesive property will give your lettering a lifespan of 8+ years. Removing the lettering requires a flat edge, preferably a hard rubber one to avoid scratching or damaging your wall. It’s possible that there will be some residual adhesive on your wall. Don’t worry, some water or a light cleaning solution and a soft cloth can quickly make work of any leftover goop on the wall. The vinyl lettering is specifically designed to leave your wall pristine and paint-chip free after it is removed. Vinyl lettering is only meant to be applied once, meaning that, once securely adhered to a wall, you cannot remove and reposition it. A well-placed wall decal can add life and prominence to a room or office. Wall decals are the perfect repositionable decoration that are great for logos, displaying images, and creating areas of color on walls. 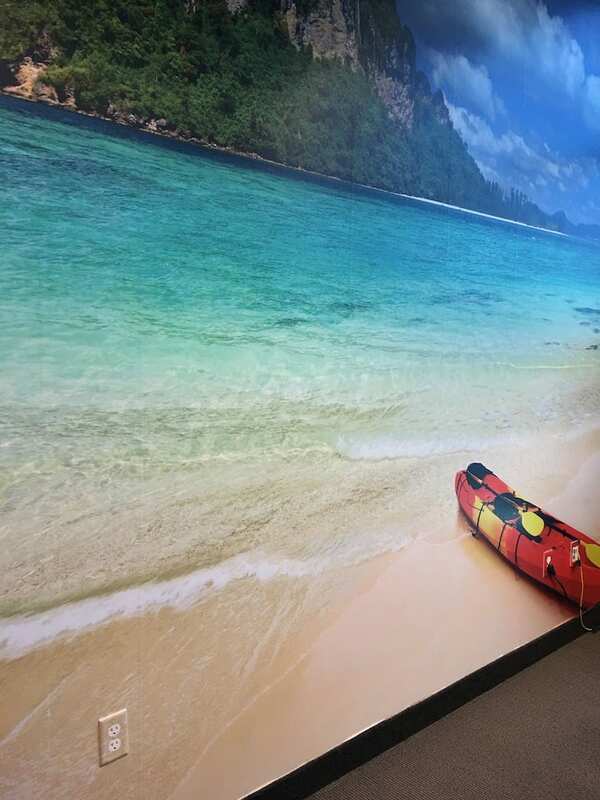 Wall decals are versatile in design, coming in various shapes and sizes (including full-wall sized graphics, as seen below), making design options limitless. 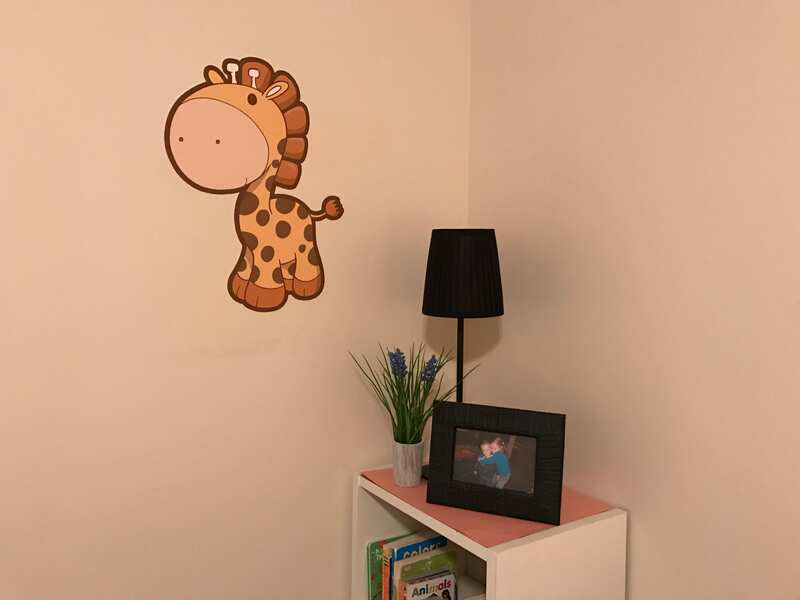 Whether you’re decorating a child’s room or an office, wall decals are perfect for any room decor. This is an example of a wall decal designed to cover an entire wall. Our wall decals are made from a flexible vinyl material, which your design is printed on. Unlike vinyl lettering, wall decals can be printed in a limitless amount of colors and designs, offering endless options for displaying. Endless options means that gradients and text effects are available with wall decals. We can also cut your design either to a generic rectangle shape (standard cut), along the edge of your design, leaving a slight border around it (halo cut), or cut exactly to the shape of your design (contour cut). Example of a standard cut wall decal. Example of a contour cut wall decal. Because your design will be printed on a single sheet of opaque material, individual letters cannot be cut out. If you do include lettering in your design, they will be displayed with the background color on one continuous piece of material. It’s important to note that wall decals cannot be clear or transparent as the material by default is white. If you’re looking to advertise a product or sale for your business, a wall decal can make a visually appealing ad that will attract customers. It can also be used in offices, conference rooms, board rooms and for menus, directional purposes and temporary or seasonal offers amongst other uses. These repositionable wall decorations are also excellent for decorating children’s rooms, especially when you have a theme you want to follow (sports, princesses, or whatever suits your child’s interest). Wall decals make for perfect seasonal decorations for Christmas, Halloween, the 4th of July, and other holidays. Adhering a wall decal takes no time at all! All you need to do is position it on a wall (a smooth, non-porous surface) and peel away the backing while applying pressure to decal. Once applied to the wall, it will stay secure and last for 5+ years. 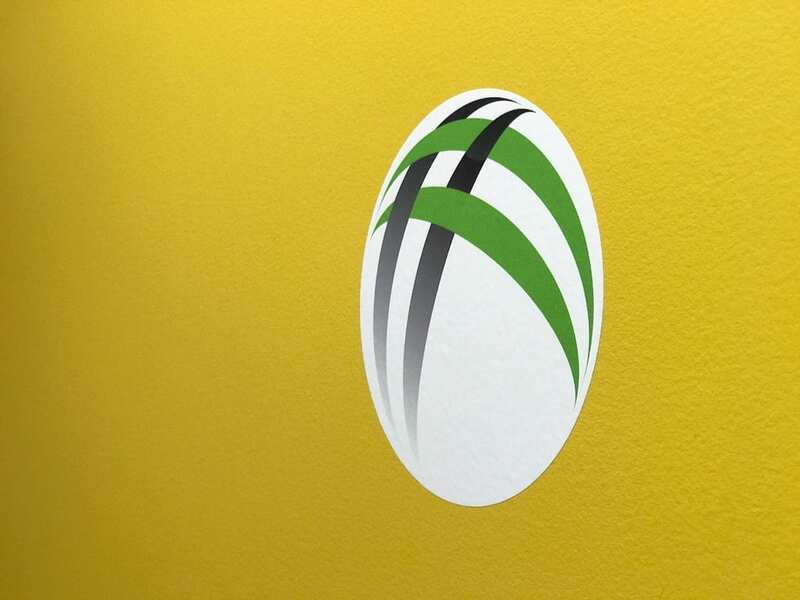 The low-tac adhesive allows for easy removal and limitless repositioning of the decal. We recommend only applying the decal indoors and in areas where there is not a high amount of humidity. Increased contact with moisture can affect the quality of the adhesive. Much like vinyl lettering wall decals are truly a dual purpose sign and can be used for a wide variety of uses in both personal and business settings. Deciding between vinyl lettering and wall decals depends on what you want to display. If you’re looking to display individual lettering or numbers, without a background, then vinyl lettering is the choice for you. For logos, images, or larger displays that can be easily applied, removed, and repositioned, then a wall decal is your best fit. If you’re still trying to decide what type of wall signage works for your needs, here’s a summarized list of pros/cons to assist you in the decision process. If you’re still unsure of what product will work better for your needs feel free to contact us today for additional help or free design services! Ryan is a content writer for Signs.com and an alumnus of Brigham Young University - Idaho. He previously worked as an editor for the BYU-Idaho Scroll newspaper, where he further developed his writing and communication talents. His love for sports, outdoor adventures, and In N Out Burger keeps him busy when he's not behind the computer.